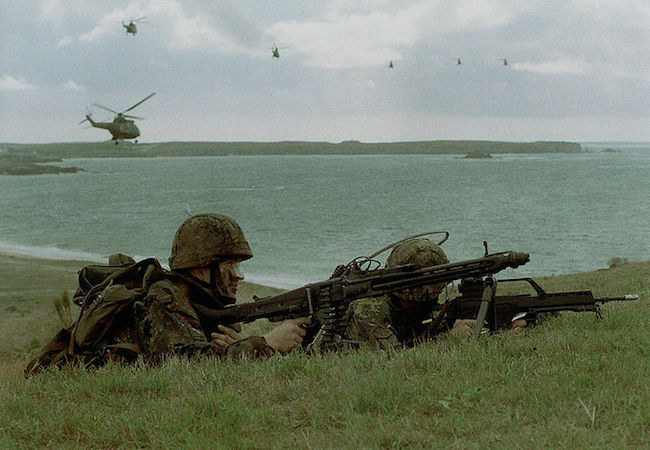 Estonian online daily, Postimees Online, has reported Germany will send rotating infantry troops to Estonia in 2016. Of all 28 NATO member states from North America and Europe, only the United States has deployed rotating troops to the Baltic region following the Russian Federation’s annexation of Crimea in March 2014. In April 2014, 650 U.S. troops were located to Poland, Lithuania, Latvia and Poland in order to work with each of the country’s militaries in helping prepare themselves against potential military intervention from Russia through training and taking part in shared military exercises. Of the 650 troops stationed in the Baltic States, 150 were located to each of the four countries. The American 173rd Airborne Brigade Combat Team, the Sky Soldiers, was the first to train Estonian defence forces. In October 2014, the paratroopers were rotated and replaced by another rotational unit – the U.S. Army’s 1st division. From Monday May 18 to Thursday May 21, Estonia’s President Toomas Hendrik Ilves is in Germany on a state visit. On Monday May 18, Ilves met with the Defence Commission of the German government, and with the German president Joachim Gauck. He also met with Germany’s Finance Minister Wolfgang Schäuble. India: Can a criminal prisoner control a political party and government?